I haven't read Frankl but I'm reminded of Gilpin Faust who writes about the vast suffering of the human spirit during the American Civil War and man's search for meaning. Her book is profound at many levels but for me, it was the first time I read about how deeply people needed death and suffering to have meaning, to the point they began hoping for a "good death," and then defined what a good death would be. It's universal and very human of us to want our life to have meaning, and if we die for a cause, for it to be a good death. But I find it difficult to think about the death and suffering of the Holocaust as having meaning, and equally absurd to consider if the victims searched for meaning. I don't doubt for a second they searched and prayed for a meaning only to be stabbed in the heart countless times when they had to accept that evil had indeed replaced civility. Most deaths were meaningless and cruel, but there were many untold heroes who did take the opportunity to sacrifice their life and die a "good death." For example, when Himmler decided to exterminate the Warsaw Ghetto on Passover, the defenseless Jews armed themselves with whatever could be found and fought off Himmler's troops in the Warsaw Uprising. There was slim hope for survival, and it takes courage, but they knew that killing even some, or slowing them down was for the better good, and so like many others who fought back, they died a good death with purpose and meaning. Art Spiegelman's Maus is less complicated because he reminds us that people loved each other and wanted to live because of that love. Spiegelman answers Frankl's question why: because his Dad needed to provide for his family, and the how- which was by whatever means possible. But it seems to me that a search for meaning was never part of the equation for his Dad, not during the Holocaust, or after. The heart can endure only so much suffering until it breaks. To live in a world surrounded by evil, where no meaning could be found required an act of conscious denial: to essentially narrow down the scope of life to what was bearable and necessary to live, and not one ounce more. Not an easy thing to do. The Holocaust had very specific causes. I recommend Ediwn Black's War Against the Weak for gaining an understanding of the reasons why the Holocaust happened. Thus I disagree--the reason was very simple and at the same time difficult to behold. I haven't read Black's book but few historians would agree the war had "very specific causes." I agree with Hilburg that demonization of the Jews was centuries old and just one of the many factors that allowed the rise of the Nazi's and ultimately the Final Solution. Many historians would even argue that the anti-Semitism was a minor aspect of the early Nazi platform. It took a long time, countless purges and many offensive regulations before the Nazis got one neighbor to turn against the other- but once it started… hence the silence that hung over the country afterward. Sebald is a must read. I've read Gisela Block, -maybe she was one of Black's researchers? (I'll add him to my reads- thanks.) I agree the progressive period was disturbing, such that today, as much as I support a woman's right to do to her body what she wants I cringe that the government (feds or state) pay for abortions. In reality, science is rapidly moving toward eugenics with a goal of designing a more perfect human being using DNA research and genetic engineering. Diseases will be cured or eliminated, and life will be longer and better. Not if, but how and when. The most we can hope is that in the future when we look back we will be proud of the advancement, not shamed. Sorry for the rattling on .. and thanks for letting me! At the risk of offending, I feel you’re post is too hard on Frankl. I’ve read Man’s Search for Meaning several times, but never once did I feel that he was trying to assign meaning to the Holocaust. If anything, I put the book down feeling that what he was in fact attempting was to find a meaning behind/a reason for his own survival. (An attempt which he fails. Frankl begins with the premise that a ‘he who has a strong enough why can endure almost any kind of how’, then goes on to contradict it throughout the book by providing examples of how much acts of pure chance played in survival). I think the value in Man’s Search for Meaning is the very fact that it does not focus on the ‘great horrors’ but on the (for lack of a better word) small sufferings. You’re absolutely right that ‘No human experience is comparable to Auschwitz.’ Nor with images of gas chambers and chimneys releasing human ash. But the magnitude of that horror I feel in some ways allows us to look back on that history, disassociate ourselves from it and assign those actions & events as having been committed by monsters. 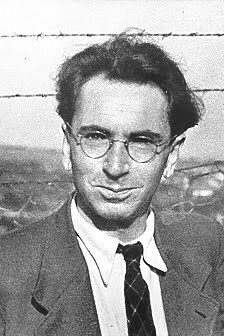 The power of Man’s Search for Meaning, for me, is that Frankl has taken the monumental symbols of the atrocity that was the Holocaust and moved them into the background – leaving us with ‘monsters’ who suddenly bear a striking resemblance to ourselves. (At one point he even states that ‘human kindness can be found in all groups’ including the camp guards). Man’s Search for Meaning is an imperfect book. But what I believe Frankl is trying to convey – that having something meaningful in your life even in the most horrific conditions and circumstances imaginable can give comfort and hope and help to endure the unendurable – is based on what he felt to be his own experience. It’s the foundation of his school of psychoanalysis: logotherapy, so he must have believed in what he wrote. I hope you do not feel that he is implying those who died somehow bore responsibility for their deaths because their lives lacked meaning? Because there is evidence in the book that he felt just the opposite. Frankl states, hauntingly, “We who have come back, by the aid of many lucky chances or miracles – whatever one may choose to call them – we know: the best of us did not return”. tolmsted: I agree with you completely. Dr. Frankl is not trying to assign meaning to The Holocaust; his point is that, when one is faced with a situation one is powerless to change, one can still retain the freedom to choose how one faces that fate - thus, providing an opportunity to maintain a meaningful existence that even the evil of the Holocaust cannot take away.